How do you get 2 strong magnets apart? Disclaimer: Applied Magnets (Owner of appliedmagnets.com) neither assumes nor accepts any liability for damages resulting from the handling or use of magnets. With your purchase, the buyer confirms that you have read and understood the following warnings, the buyer agrees that he/she is responsible for all damages and injuries caused by the magnets, which include personal injuries , property damages and magnet damages. The buyer must agree with the terms before purchase. Pull forces we provide are estimates only and we are not responsible for any inaccuracy of magnet pull force. Please test the pull force before any usage. Magnets the size of a 2 inch cube or larger can cause serious damage to fingers if caught between 2 magnets such as breaking bones or losing finger tips. Small magnets pose a choking hazard and should never be swallowed or inserted into any part of the body. For safety purposes we include this warning to deter children from using/handling small magnets as they can be dangerous. 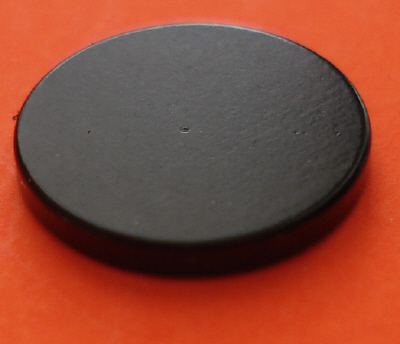 Small magnets are considered a choking hazard that can result in death and should be treated as such. When confirming your order you the customer become fully responsible for the safety of children, animals and anyone else to come into contact with these magnets. Below is a diagram resembling the (Small Parts Cylinder) described in 16 CFR 1501.4 - Size requirements and test procedure. Please use this diagram to distinguish which magnets used would be classified as a (Small Magnet). For more information, see the US Consumer Product Safety Commission’s News Release and Magnets Information Center webpages linked below. WASHINGTON, D.C. - An increasing number of incident reports to the U.S. Consumer Product Safety Commission (CPSC) indicate that high-powered magnets continue to be a safety risk to children. From toddlers to teens, children are swallowing these magnets and the consequences are severe.